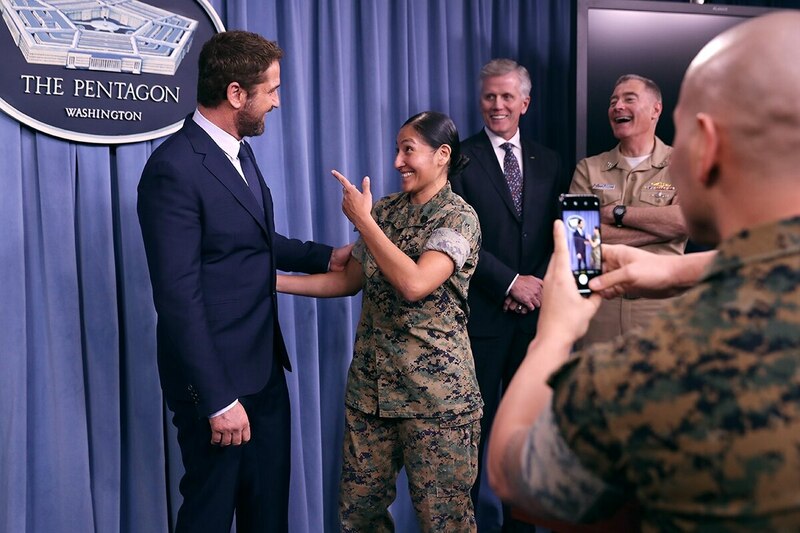 Could ‘Hunter Killer’ inspire recruits like ‘Top Gun’ did? NORFOLK, Va. — A new movie that’s set aboard a U.S. submarine could do for submariners what “Top Gun” did for Navy pilots. The Virginian-Pilot reported last week that action film “Hunter Killer” could provide a window into the high-stakes world of modern undersea warfare. The film is largely set aboard a Virginia-class submarine. Some are based in Norfolk and built in nearby Newport News. They are the Navy's newest attack subs and designed to deliver Navy SEALs. 'Hunter Killer’: A high-speed, explosive Navy blockbuster packed with King Leonidas, Rear Adm. Common — and oorahs? The next Navy blockbuster, one that looks like the lovechild of “Fast and Furious” and “Hunt for Red October,” will be surfacing in theaters on Oct. 26. The submarine force in the movie hunt for a distressed U.S. sub. They also learn of a secret Russian coup and the need to save the kidnapped Russian president. And they try to avoid World War III. Navy officials have said it’s more important than ever to inspire the next generation of Navy sailors.